Lisa's Djen Den: Are Your Ducks In A Row? As promised I will discuss what was talked about at the attorney's office last week. Toni and I learned a lot, even with the fact that my sister worked for lawyers for years as a Paralegal. 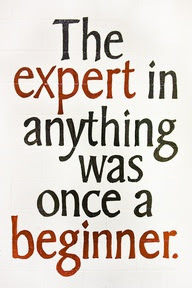 There is always something new to learn. We discussed copyrights, and their protection, and LLC. He talked with us for two hours and was very informative. We were also told that he had dealt with people trying to steal other's books and put them right on Amazon in their name instead. I found that really interesting. I do want to say that I am not a lawyer, so this is not legal advice, only my interpretation of what I learned. First LLC - Which is what he suggested would be best for us. There's no reason to become a corporation. It is simple process. You can do it on line. Simply go to your state web-site and fill in the paperwork and of course, pay whatever their fee is. Although it is true, there is a limited amount of protection, having a good lawyer can help you if you are ever sued. The purpose of an LLC is to protect your personal assets, but if the one suing you has deep pockets then that can be a challenge anyway. Another good idea is to have an accountant do your taxes. It also shows that you took the proper steps in being held accountable. As long as you have an LLC in place, it does make it harder for someone to sue you personally. It is a protection between you and your business. Just make sure that you keep your business separate from your personal accounts. Next Copyrights - Most of this I already knew, but I did learn a few things. Anytime you write something on paper, you have the "copyright". But that does no protect you enough from thieves. Protecting your book through the Library of Congress makes it Federally protected. This gives you the right to not only control how it is used, but to distribute copies to the public. If someone steals your work this gives you the right to sue and obtain compensation for any losses due to the theft. You can take it to a federal court, and under the protection of this you are also protected within the borders of our country. It can make the difference if someone steals your work. And yes, it does happen. It will also protect you from lawyers fees in the since that the guilty party will be responsible for them. I think having a lawyer on your side makes all the difference in the world. He knew all the ends and outs and spoke plainly for my understanding anyway. I am glad I was forced to have this meeting because it did turn out positive. We are protected within our borders which makes it harder for people to steal our work if you take the steps to federally protect your work. He even suggested we copyright the cover and map art and our business cards, which has a picture of the cover on it. Okay, back to the story about people stealing on Amazon and turning around and putting their name on the book and reselling it on Amazon. The lawyer told us he had dealt with this a few times. Although it is an easy step to remedy, you can still lose sales and there is no way to locate these people to take them to court. They simply don't exist. Most of the time it comes from a foreign location, (probably someone in a backdoor room or cafe), but once Amazon is notified and is shown that you are registered with the Library of Congress, they will immediately take the other site down and pay your legal expense for having to contact them and take these steps. Which personally I found amazing since you would think that Amazon wouldn't want to have to pay money out of their pockets and would keep an eye on this so it didn't happen in the first place. But that's just me. I have heard from a few writers I know that their work was pirated. They would have to chase down the culprit and hopefully put a stop to it. Don't kid yourself, this happens all the time, so it is better to take the steps to protect yourself and the hard work you have created. In a world of endless possibilities with the internet, there will always be people who will take advantage. My advice, take these steps. All right, now our winner of the Starbucks card. Sunni Morris! Congratulations Sunni! I will be in touch with you via email and get that sent to you ASAP! We will have another contest in the next few weeks, so stay tuned. In the mean time, have a great weekend and if you have any questions or comments please leave them in the comment box. As always, I love getting comments and if there is anything you wish to add, I love learning more about the legal aspects of protecting our hard work! It's not just paper copyright protects, obviously. Once you've turned an idea into an expression of that idea (whether that's a recording, a book, or whatever; in analog or digital formats), it is under copyright protection. Any country under the Berne Convention has such stipulations. They also note that copyright lasts a minimum of life plus 50 years. In the US it's substantially and absurdly longer than that. My personal view is that copyright should rarely if ever outlive the other (unless the author him- or herself perishes prematurely), but corporations love to bilk people for things they did a hundred years ago rather than come up with anything novel. They lobby/pay the US Government to extend copyright each time their precious copyrights are about to expire. You can be sure that in 10 – 20 years, copyright in the US will last life of the author plus 100 years. As Lisa above noted, I am not a lawyer and this does not constitute legal advice, but I do believe that the right to sue exists from the get go. After all, you have the copyright as granted by copyright law/the Berne Convention/the Copyright Act (in Canada). But, and this is where registering one's copyright comes in handy, you have to prove in a court of law that the copyright is yours. How do you do that? Well, without the registration, it's pretty bloody hard. Courts don't recognize the poor man's copyright (mailing yourself a copy of your work, which is left unopened until you "need" it), only a proper copyright registration. It's just a shame the registration is $50 for copyright here in Canada, $65 if you dare file by paper. If you write novellas like I do, and lots of them, that can add up considerably over time. I'd be shelling out $300 for registrations. Never mind that, but you're required to NOT submit the copyrighted work to CIPO (the Canadian Intellectual Property Office), as they don't "review or assess works in any way." I find that particularly bizarre. How can they say a person has registered a particular thing when they've never seen it? Sure, there's legal deposit, but that's not CIPO. That's Library and Archives Canada. Two different branches of the same bizarre government. Does the US Copyright office require the submission of the item under copyright, or do they just blindly issue certificates, too? I should probably not be so delinquent and send in all of my legal deposits, too. Every single electronic format available needs to be submitted, along with all revisions. That'll be fun. I don't have half of them anymore, so I'll just send the new ones. They can kiss my behind if they want a new version (of every format) every time I fix a typo. LOL! Yeah, I know that if it's a small size, such as 50 pages or less, then they want you to mail it to them. Toni, my sister, is looking into this as we speak. I should have an answer to that tomorrow when she comes over. I might be able to just send a CD, or maybe so many, (certain) pages, I don't know. Also in the states it's 35.00 verses your 50.00 from what I was told. It is $35 in the US, last I checked (which was about an hour ago). Frankly, if they're just going by title, author, and whatnot, what the heck is the point of getting the certificate? It would seem a waste of money to get a certificate that says I'm the copyright owner of something the government's never taken a look at. Never mind if I ever update it, I have to register for the copyright again. Oh, and as for the blog question, my ducks are not in a row, no. They are in a column. Wow! So much to think about. I wish a publishing company would just contact me and do it all for me. But then there would be other concerns. Ryan: would a solution for you be to save several of your novellas up and then get a copyright for a "Five By Ryan" collection of novellas? That's sort of my thought. When I do the bigger print collections, I'll probably get a copyright registration. At the same time, since the government doesn't even look at (and thus does not know) what the content I am copyrighting is, I continue to ponder its relevance. Re: LLC vs Sole Proprietorship, it depends on your needs. Mine are served just fine by sole proprietorship, but your mileage may vary. I'd recommend talking to a lawyer. They're best suited to answering questions (and asking them, for that matter), and most will give a free, brief consultation. Finding one who is familiar with intellectual property law would be a boon.